- Kirstin's Cancer Care Getting Ready for Chemotherapy. If there is one type of conventional cancer treatment that, without fail, evokes immediate resistance and fear, it is Chemotherapy! My first words were “I am not having that!” when it was suggested to me, which is a typical first line response from anyone faced with this option. And yet, here I am, all these years later, having embraced it as simply one part of my multi-layered cancer care regimen. In my case, it had its place, and I will elaborate on this point below. Chemotherapy is a systemic approach to treating cancer that uses chemicals to kill off cancer cells. It is used on its own, or most often in combination with other treatment approaches such as surgery, radiation, hormone therapy or monoclonal antibody therapy. The latter is less invasive than standard regimens, as a chemo drug attached to an antibody will target certain proteins on the membranes of cancer cells only, thereby sparing healthy cells. Chemotherapeutic drugs are applied both in single origin cancers, as well as metastasized cancers that have left its original site and have afflicted other parts of the body, these are generally more difficult to treat in this way. They are also applied with systemic cancers that do not have a target organ, such as leukemias (blood cancers) or lymphomas (cancer of the lymphatic system). The main impact of chemotherapy is when a cell undergoes cell division, and as it targets fast growing cells it can thus also affect all other rapidly dividing cells in the body, such as blood cells, hair cells and mucus membranes beginning in the mouth and ending in your gut. Chemo drugs are administered either via infusion or orally, and regimens vary, depending on the type and stage of cancer being treated. Sometimes a patient is hospitalized for the duration of an infusion, most often a patient receives an infusion in an out-patient facility in weekly, bi-weekly or tri-weekly intervals. Besides chemotherapy drugs, a patient will also receive supporting medications to help address nausea, inflammation, allergic reactions and low blood counts, in particular white blood cells that are the mainstay of a functioning immune system. Why do we fear Chemotherapy? Besides these side effects, cancer cells can develop resistance to chemotherapeutic drugs, as well as contribute to the future recurrence of drug-resistant cancer cells. Often cancer stem cells survive treatment and mutate, becoming a dangerous ticking time bomb, even after initial treatment success. You may now ask, why would anyone undergo the risk of such damaging therapy? To date, chemotherapy is still the “go-to” tool in conventional cancer care. Nevertheless, I do feel strongly, also from personal experience, that no oncologist or cancer center group should determine a treatment without allowing a patient the full understanding of what the projected benefits, and potential long-term outcomes, are. With my particular cancer diagnosis (type, stage, size of tumor and extent of spread), what are the expected benefits, and do they outweigh the side effects? Is chemotherapy recommended as a curative or palliative approach? If palliative, what time period for life extension is considered a success, a few months perhaps? Ask the doctor to be upfront about the possible timeframe. Often patients are not told that a treatment can be extended indefinitely if it shows success. Hearing this after being mentally prepared for a specific treatment period can have a major impact and set in motion a downward spiral towards depression that could have been avoided. I have had many sessions with clients where we focused on exactly this moment, trying to gain back strength and courage to go on with a positive frame of mind. What is my overall level of health, both physically as well as emotionally, in order to best tolerate this cytotoxic treatment? Do I have a history of systemic inflammation that can exacerbate side effects and possibly make treatment less effective? Age and previous health conditions play an important role here too. Can I mentally deal with the rigors of this regimen, based on the above conditions. Sensitivity of chemotherapy to my type of cancer? Will my Cancer respond to this type of chemotherapy regimen? Can we test for this, and what are my test options to personalize my treatment overall? Often, more targeted testing options are not necessarily covered by health insurance companies, particularly for initial treatment, and would only be rolled out if the standard of care treatment option has failed. At this point of course a patient is weakened from the first round of treatments, and the second line of therapies may not be tolerated well. Be this as it may, as a patient you have the right to know what your options are to best target your treatment to your cancer, and make the decision on whether or not to possibly embark on out-of-pocket testing yourself. What can I do to make my chemotherapy regimen more effective? An integrative approach to your cancer care takes into account that we need to support the body on multiple levels in conjunction with a conventional approach. This is not limited to the services now often offered in cancer treatment centers such as massage, acupuncture, reiki energy healing, yoga or mindfulness classes. For example, certain supplements can help reduce side effects from chemotherapy, as well as enhance the effectiveness of treatments, and even slow cancer cell growth. This requires a team approach as you assemble a crew of experienced practitioners that tailor your support to your exact regimen to ensure there are no adverse interactions. 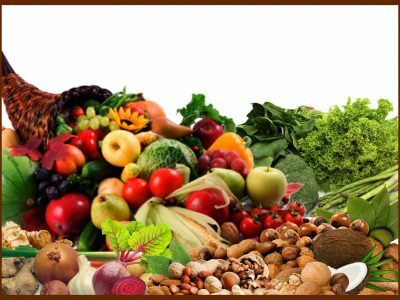 Naturopathic Doctors and nutritionists specializing in oncology nutrition can work alongside your standard of care medical team, as they tap into their knowledge of holistic cancer care that is not part of the standard curriculum of conventional oncology. 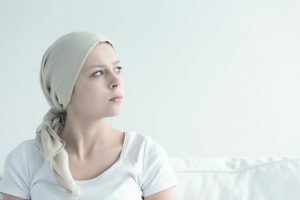 What Should I do Before My FIRST Chemotherapy Session? Before your very first chemotherapy session you ideally want to know your current nutritional status, and whether you have certain deficiencies. 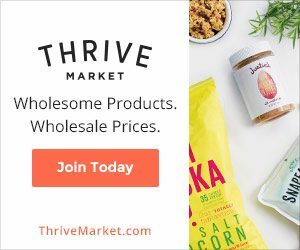 This can be achieved with a micronutrient blood test offered by a lab with a functional medicine approach. 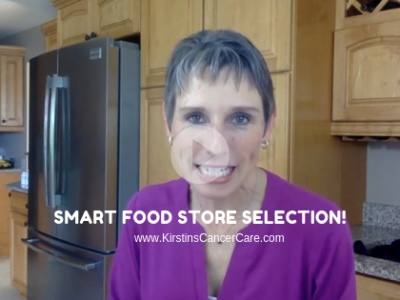 It is helpful to know which nutrients to target as you enter a time where nutrient absorption is generally compromised due to the side effects of chemotherapy. You are about to subject your body to an extremely toxic form of treatment. You will not be able to function at your normal output rate, and performance levels will need to be adjusted. Often, everyone around a patient understands this, except the patient themselves. Avoid unnecessary “wake-up” calls, and simply lower your performance expectations by 25-50%. Slow down. Focus on what is essential. Allow Self-Care time that would otherwise make you feel guilty about not being productive enough. People around you want to help. This is the time for you to be clear about the type of help you need, so use it to be specific about exactly what you or your family needs, and delegate deliberately. Often patients make the mistake of feeling awkward about asking in the first place, and on top of that asking for specific tasks or items, only to find themselves in situations where they receive items they cannot use or should not eat in that form. For example, your oncology nutritionist – and yes, hire one! J – will give specific guidelines, and you can simply pass those on. Meditate, use guided imagery or visualizations or whatever allows you to calm your mind and connect within. This is an underutilized powerful tool that really works to help you cope and nor freak out! Our minds can sabotage us and our healing process. Let’s avoid that! What Should I do Before EVERY Chemotherapy Session? Fasting is a powerful tool to weaken cancer cells and make them more susceptible to the toxic effects of chemotherapy, while at the same time protecting healthy cells as they can adapt to this stressful situation. Cancer cells cannot, so use this to your advantage. You can choose to fast a minimum of 13 hours, 24 hours or even 48 hours prior to Chemo Day. If you are receiving ongoing oral chemotherapy, daily intermittent fasting of between 13-16 hours is very beneficial, as this type of fasting can become your norm anyway, whether or not you are receiving chemotherapy. Fluid intake is encouraged, and you can drink as much bone or vegetable broth as you like on a fast. If you find full fasting a struggle initially, you can start off by eating absolutely no carbohydrates for 48 hours prior to infusion day. While you should not be eating products made from white, refined flour such as bread, pasta or any sugary baked goods such as cakes, cookies, cupcakes, doughnuts anyway, this also includes more starchy vegetables such as most root veggies like beets, yams, potatoes. Focus on lean proteins such as skinless chicken or turkey, eggs, legumes, as well as healthy fats such as olive oil and coconut oil and low carb veggies such as leafy greens, cauliflower, broccoli, Brussels Sprouts, mushrooms, leeks. Start hydrating 2 days before infusion day, by beginning to increase your clear fluid intake to double to what you normally drink, which should be about half a liquid ounce for every pound of body weight you have. If you weigh 130 pounds, your normal fluid intake should be around 65 oz daily. Increase that to 130 oz in the 2 days leading up to chemo day, keep it up there on chemo day and for 102 days afterwards. This protects your kidneys form excess toxicity. Yes it means you will become close friends with all restrooms near you, but your body will thank you as you recover faster from the cytotoxic effects of the chemo, as well as all other supporting drugs. What Should I do DURING every Chemotherapy Session? For the same reasons as mentioned above! For the love of your kidneys. Pee often! Your lymphatic system needs muscles to contract to allow it to flush out toxins. Get up often and move around with your portable IV stand. Even once back home make a point of moving around as much as you can in between resting. Do not rely on the sugar and hydrogenated fats-laden inflammatory food offered at most treatment centers. Pack your own nutritious food and snacks as mentioned above. You may wish to have electrolytes handy and these can be found in bone broth, coconut water, greens powder. Sip on ginger tea to help make the anti-nausea medications more effective. 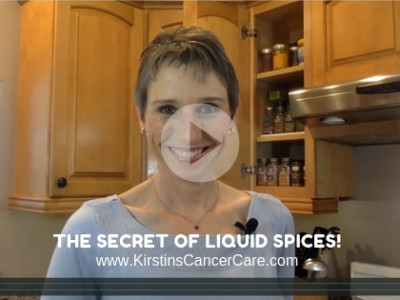 Avoid caffeine and alcohol around chemo days, think of how hard your liver is working to detoxify you. With all due respect to each cancer patient in a chemo room, and I have been there myself, it is nevertheless counterproductive to surround yourself with fellow warriors who lament about all their side effects in great detail all day long. You can rise above this with grace and humility and simply get out of that space. A constant stream of negativity will only pull your spirits down too and envelop you with an energy that is not conducive to healing. Unfortunately, support groups can often have the same effect, so make sure you test a support group before joining one. Often my clients sigh at the amount of time a chemotherapy infusion session can take. My advice is, look at this from a different angle. This is 100% dedicated “You-Time”! Granted, you would prefer to not have to spend it under these circumstances, but let’s turn every ounce of this experience around if we have the power to do so. This is the perfect time to surround yourself with feel-good items or even close friends. Having someone different accompany you every time is a great way to spend some intimate time with a friend or family member. From catching up to doing an activity together, you determine how you want to fill those hours. Time flies much faster when in the company of a good friend. If you will be by yourself, figure out what would make you feel really good, reading a particular book, watching classic movies, listening to a favorite music collection, or even creating something. I have seen patients knit, write, work on their recipe collection surrounded by various cookbooks…you name it! The main point: distraction makes the time fly faster! The bonus point: having something or someone to look forward to that makes you feel good adds a nice spin to an otherwise dreary medical procedure. 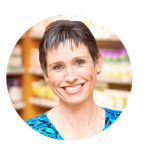 On a personalized cancer care level, having an integrative practitioner create an individualized support plan with a specific dietary direction and nutraceutical support protocol will greatly enhance your overall experience and contribute to improving your outcomes. 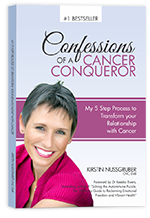 Healing from cancer requires a multi-level approach and a team of practitioners that, if not working together, at least work in parallel to strengthen you and turn you from patient to thriving survivor. Interested in a free assessment talk to see if we would be a good fit? Click here to schedule your appointment. PS: Are you a busy mom and need some help getting back in the kitchen? My FREE e-book, “Kitchen Essentials-4 Steps to Becoming your Own Master Chef & Cooking Nourishing Meals in 20 Minutes or Less,” may be the perfect solution! Download your copy today!